Load your motorbikes and scooters safely using the Certa Aluminium Folding Loading Ramp that’s built to support up to 680kg when fully extended. Do you regularly need to transport small vehicles? 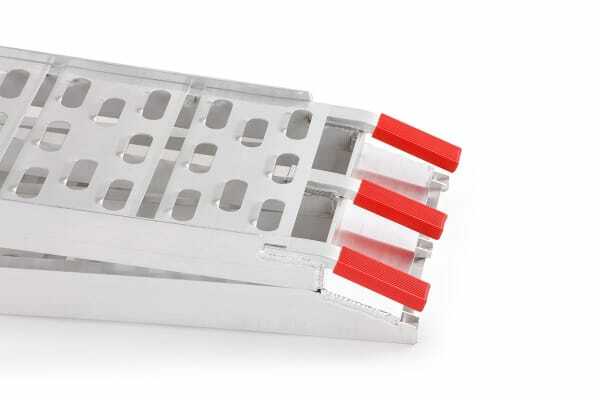 You’ll find the Certa Aluminium Folding Loading Ramp very useful. It is made up of two strong yet lightweight pieces that fold easily and can be carried anywhere. 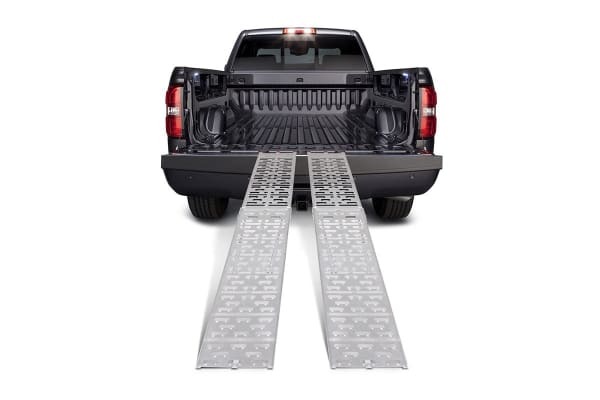 For a safe and smooth loading, all you need to do is to adjust the leg height of the ramp to suit your truck. Made of sturdy aluminium and with a capacity to support a max of 680kg, this ramp offers enhanced stability that lets you load your vehicle onto small trucks with ease. 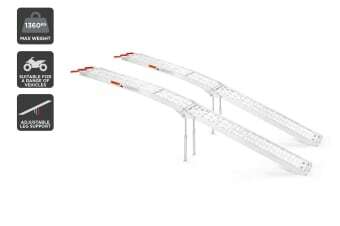 Transport your items with ease and stability with each ramp holding up to 680kg. Enjoy transporting a range of small vehicles ranging from motorbikes to ATVs. Adjust the strong support legs to create a smooth, stable gradient to your preference.